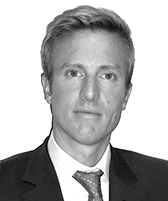 Avtrade is pleased to announce the appointment of Aymeric de Warren as Regional Sales Director – Dubai. An aviation professional, based in Dubai, Aymeric will be responsible for the Dubai office and team. Focus will be on progression of business opportunities, strong sales growth and development of existing and new customer relationships and support. With valuable knowledge and experience of manufacturing, engineering and management acquired from an aviation career within Airbus UK and Safran Group, Aymeric also brings a wealth of customer support expertise gained working with airline customers in Europe, Middle East and India.